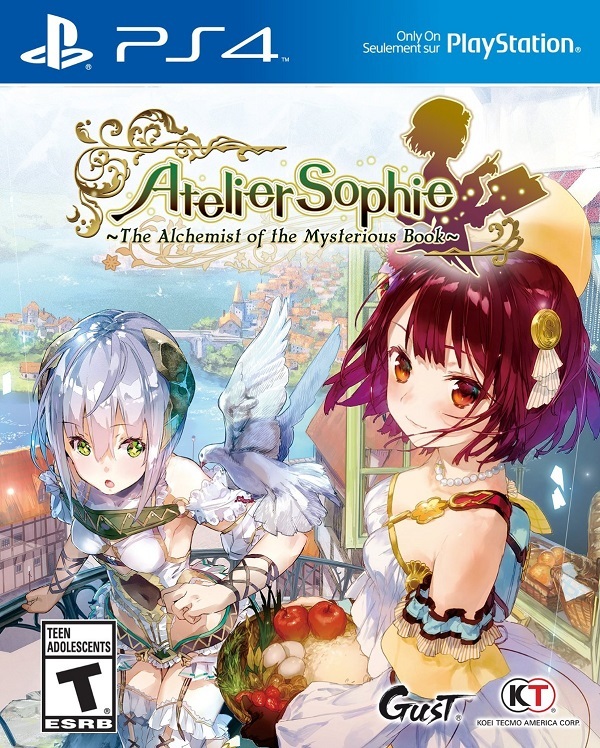 For many years the Atelier franchise flourished on the PlayStation 3 but now that the latest console generation is in full swing, Gust has delivered the first Atelier title for the PlayStation 4 in the form of Atelier Sophie: The Alchemist of the Mysterious Book. Although this isn’t the first title for the console that the team has worked on, this does mark a new point for the series as it begins a brand new series in the Atelier franchise as well as the first time that the series has appeared on the new console. So now that it has been released in the West, what can fans expect from the title? The story for the game begins in the town of Kirchen Bell where a young girl named Sophie lives alone and practices alchemy. Once taught by her now deceased grandmother, Sophie is a complete novice in the field but works hard to improve her skills despite feeling lonely when her two friends, Oskar and Monika, aren’t around. Sophie’s daily life undergoes a massive change when she finds what she believes is one of her grandmother’s old alchemy books and fills in a recently discovered recipe only to for the book to come to life when she finishes. The magical seeming book introduces itself as Plachta and unfortunately for both the book and Sophie, it is suffering from a severe case of amnesia. After quickly figuring out that the best way to restore Plactha’s memories is to continue writing recipes in the pages, Sophie is eager to help. This becomes especially true once Plachta remembers that it is quite an old book and in fact, not even a book at all to start with as it was once a female alchemist. While Plachta may hold valuable knowledge about the secrets to powerful alchemy, Sophie takes to her as a friend and promises to continue to help no matter what stands in their way while also becoming a better alchemist at the same time. Atelier Sophie is a game that embraces the peaceful and friendship based aspects of the franchise. I say this because not only does the core story mostly focus around helping a friend in need, but also almost all other developments come in the form of character development and this is done through raising their friendship points to certain levels and witnessing events when you meet up with them in town. This works incredibly well thanks to a cast of likable characters that are slowly developed over the course of their own side stories in a believable manner that likely wouldn’t have been possible through other means. Interacting with the townsfolk often unlocks new exploration points, the ability to bring them with you to help gather materials and fight against monsters, and even unlock passive skills for those who do venture out with you. There are a number of characters that cannot be recruited to fight with you and while simply talking with them will boost your friendship levels, you can eventually deliver gifts to these characters as well in an effort to get to know their likes and dislikes better. With friendship being the key focus to Atelier Sophie, there is very little focus on any evil being threatening the world or anything ominous outside of a few small events. 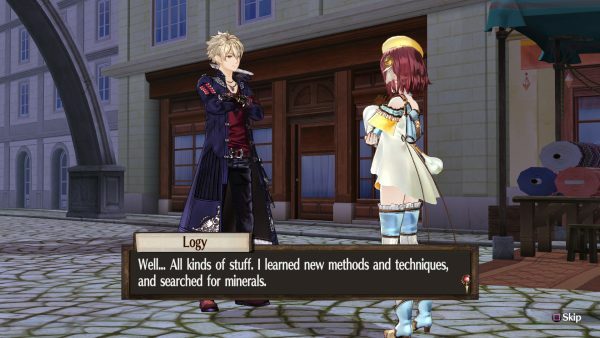 While this is generally true for the Atelier franchise, this game delivers a character focused story through and through and thanks to the fact that players no longer have any time limit to deal with, they can spend as much time as they wish to becoming friends with the characters in the game while working towards Sophie’s final goals. 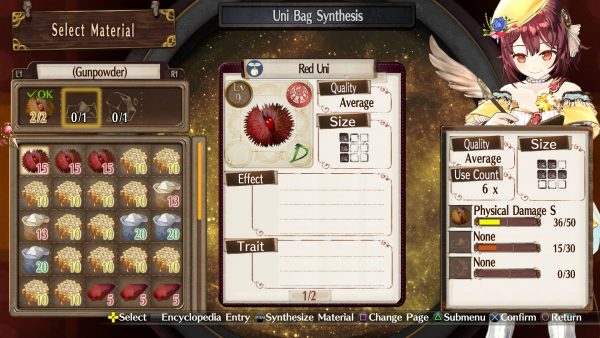 Atelier Sophie: The Alchemist of the Mysterious Book’s storyline focuses on developing bonds with the cast as well as recovering memories for Plactha and the best way to do that is by discovering new alchemical recipes. Thanks to the fact that the game no longer forces players to deal with at time limit, outside of optional requests such as gathering a certain item, crafting an item, or killing an enemy, players will freely be able to explore the world to their hearts content. 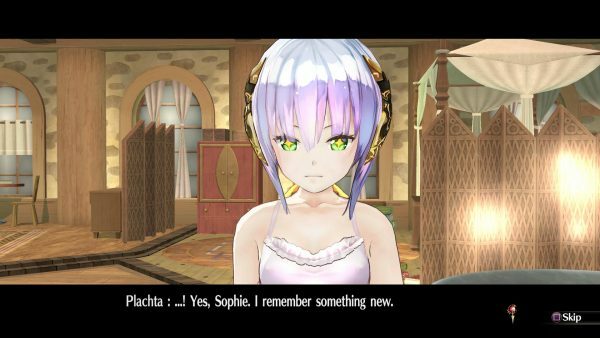 This is a good thing considering the way to progress the story this time around comes from the fact that players will need to perform various acts in order to fill a gauge to unlock a special recipe and memory for Plachta. These acts range from simply giving gifts to people, to crafting stronger weaponry, or tracking down a specific creature and defeating it. Outside of these main recipes players will be able to learn recipes on the fly as Sophie can find items, inspect locations, and craft trait specific ingredients that will result in a flash of inspiration, allowing her to craft a new item. 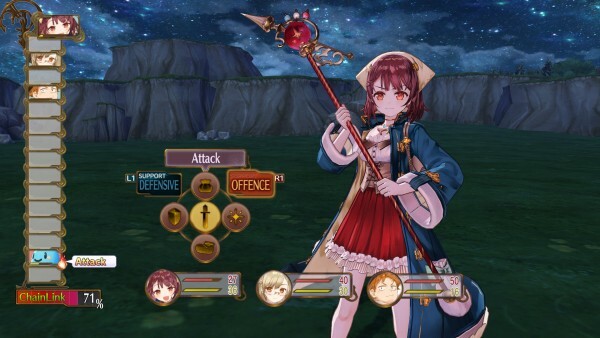 Alchemy in Atelier Sophie has been streamlined even further this time around, making it fairly easy to get the results you want as long as you know what you are doing. 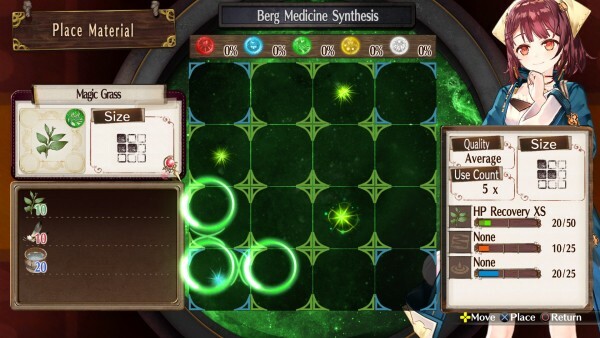 As always, players will find ingredients by venturing out into the field and picking them up from gathering points, defeated enemies, or even buying them from a store if necessary, but this time around each item has a unique base color and “shape.” This comes into play with the way that alchemy now revolves around using a grid-based synthesis system. When crafting a recipe, players can select from a list of fitting ingredients and then be taken to a grid-based system where each of the five colors can be represented with tile colors and glowing orbs that provide a boost to any item laid in that field. Every time an item is placed down the surrounding tiles gain a glowing orb that grows larger when additional items are placed alongside it without activating that tile. This does sound far more complicated than it really is as players should be able to quickly grasp the process and how to take advantage of the board to help create boosted items. You see, similar to past Atelier titles, there are usually meters that, when filled to certain points, unlock latent abilities in an item. This means that when crafting a bomb for example, an exemplary build may allow it to deal even more damage than before while also slowing an enemy or giving a standard accessory the ability to revive its wearer from KO once per battle. After reach a certain Alchemy level players will also be able to select various traits taken from the ingredients and be able to apply them to the final product for additional boosts. This allows for quite a deal of customization and although it may feel limiting at first, the options expand quite a bit further into the game, especially when you manage to craft a fancy new cauldron that allows for tile flipping, a bigger grid to work with, and more. 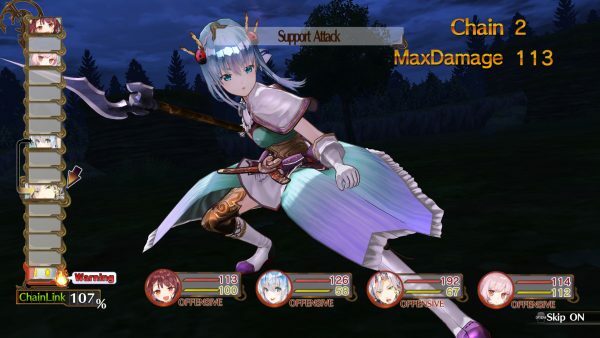 Another modification comes in the way combat is handled in Atelier Sophie. While the title still features turn based combat, it has been modified in a manner that is a bit stricter than previous games. You see actions are still dependent on a fighter’s speed but rather than selecting each character as their turn comes up, players will now need to select each of their (up to four) character’s actions and then begin the turn. This removes some level of adaptability as players can no longer attempt to change strategy on the fly if they are hit with status effects or struck by powerful blows that require healing. This lack of ability to adjust is a disappointment but for the most part the other two modified aspects work to alleviate some of these issues. When fighting each character can be put into an Offense or Defensive stance that raises attack or defense depending on what is chosen. This plays into the Chain Link bar that is now triggered automatically during combat after reaching 100%. When two characters are in the same stance near one another, they will either follow up with a support attack or jump in to defend an ally. This automatic use is a bit problematic at first but players eventually unlock additional Chain Link abilities that allow for the repeated use of Chained attacks and flashy finishing moves. Alongside these new modifications players will also need to keep an eye out on the time of day and weather conditions while exploring. I say this because certain enemies and ingredients can only be found during night or during a rain storm which means players will need to experiment a bit to find exactly what they need. Thankfully thanks to the aforementioned lack of a time limit and the fact that traveling in the map rarely lowers the player’s energy level to a dangerous point this shouldn’t be an issue for many. 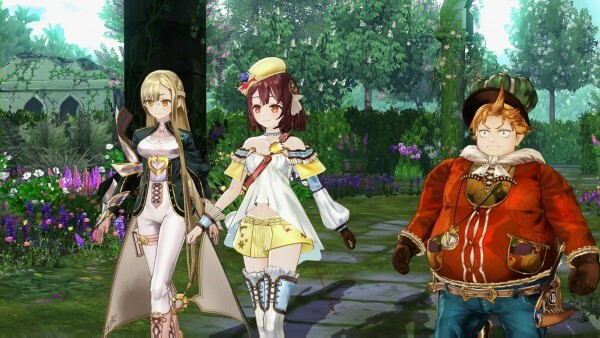 Players will find that the jump to the PlayStation 4 that Atelier Sophie has taken allows for Gust to create a number of great looking character designs with a lot of detail being put into their outfits. There are a wide array of areas for players to explore though a few enemy designs are re-used a bit too often with only slight modifications for stronger variants. The combat presentation remains very impressive as the characters have a wide range of flashy moves and even special combo attacks that look great. Those who pick up the title will find that Koei Tecmo has offered both their freshly recorded English voice track for the game as well as the Japanese voice track for those who prefer the original. The English casting here does a great job with these characters, especially when it comes to interactions between Sophie and Plactha as they play off one another incredibly well and the English dub reflects that. Atelier Sophie: The Alchemist of the Mysterious Book marks the first time that the series has arrived on the PlayStation 4 and while it introduces a number of new charming characters and an enjoyable storyline to the franchise, it really doesn’t do too much to help set itself apart from past games. 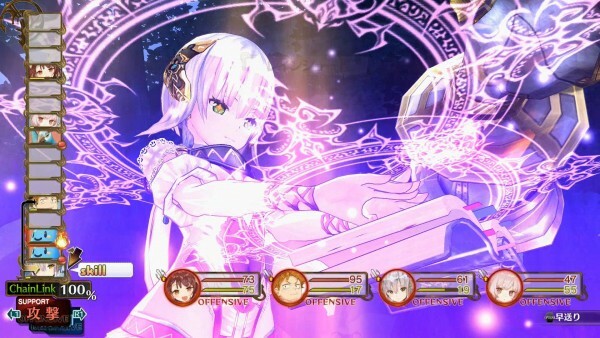 The changes to the synthesis and combat systems do help give the game a fresher feel, but unfortunately those looking for a significant improvement will be a bit disappointed that most of the improvements come in the form of streamlining certain mechanics in order to create a more casual light-hearted JRPG, though considering that this is what fans love the game for, this means that the game still remains true to form and serves as another satisfying entry in the franchise.